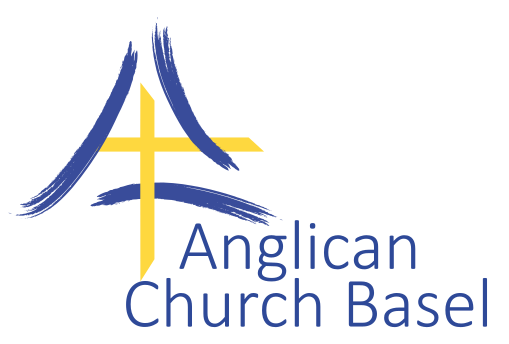 The Anglican Church offers a variety of services to meet the needs of a dynamic community. We do not own a church building - our Sunday services are held in two different locations in the city. Click on the links below to find out more about each of our services. 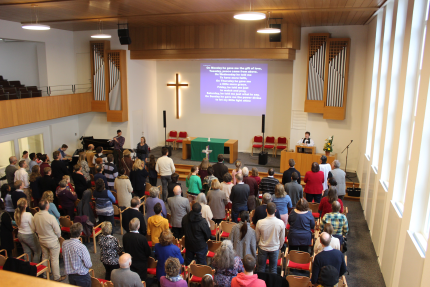 Our mid-morning service takes place at the Adventhaus at Rümelinbachweg 60, Basel.The service is non-traditional in style and designed with families in mind. Children’s ministry meets weekly during the service except on the first Sunday of the month when there is an All Age service. There is also a crèche room adjacent to the church where parents can see and hear the service whilst their toddlers play. Refreshments are served in the basement after the service. 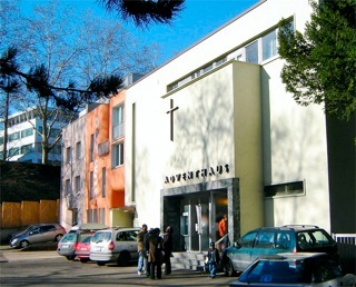 The 10.30 service is held at the Adventhaus, this is located at Rümelinbachweg 60, Basel. It's close to the lower level entrance of the Rialto swimming pool and the Zoo car park. Wheelchair access to worship area, ground floor and disabled toilet. Our traditional style evening services take place at the St Nicholas Chapel. 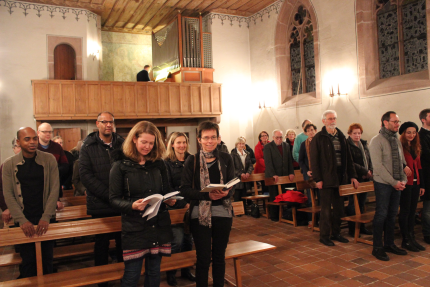 The choir is open to all who enjoy singing traditional church choral music and leading others in worship. Contact for information about singing with the choir. Refreshments are served after the service in the Katharinakapelle opposite. 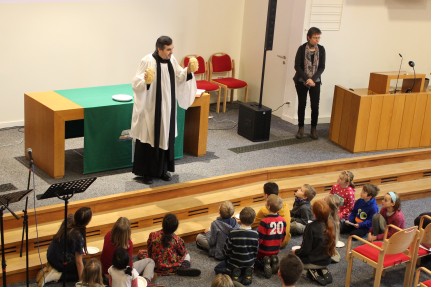 Although there is no Children’s Ministry at the Evening Service, all ages are welcome and the congregation includes children and young people. 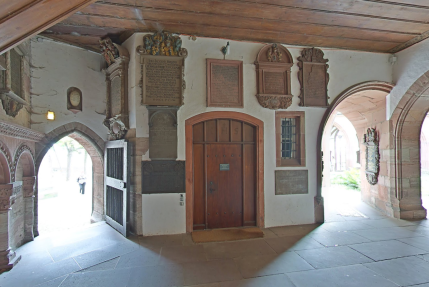 The St Nicholas Chapel is situated at the back of the Cathedral cloisters, to the right of the front of the Münster, just off the Münsterplatz on Rittergasse. Please note that there will be no 08:00 service on the first Sunday of the month in September, October and November. The next 08:00 service will be on Sun 11th Nov. This is a traditional, spoken, Holy Communion service according to the Book of Common Prayer which takes place at the St. Nicholas Chapel on the first Sunday of the month only. The Chapel door is at the centre back of this picture. 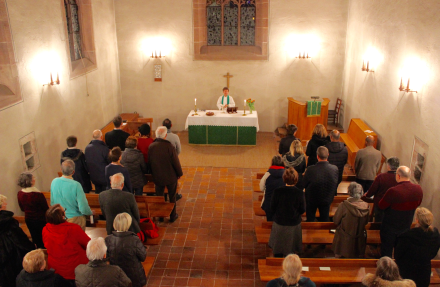 This is a traditional, spoken, Holy Communion service according to the Book of Common Prayer. 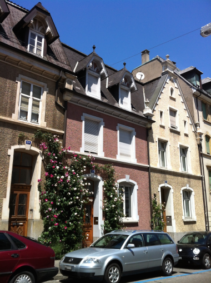 It usually takes place in the Church House on the third Thursday of the month and is followed by a light lunch.